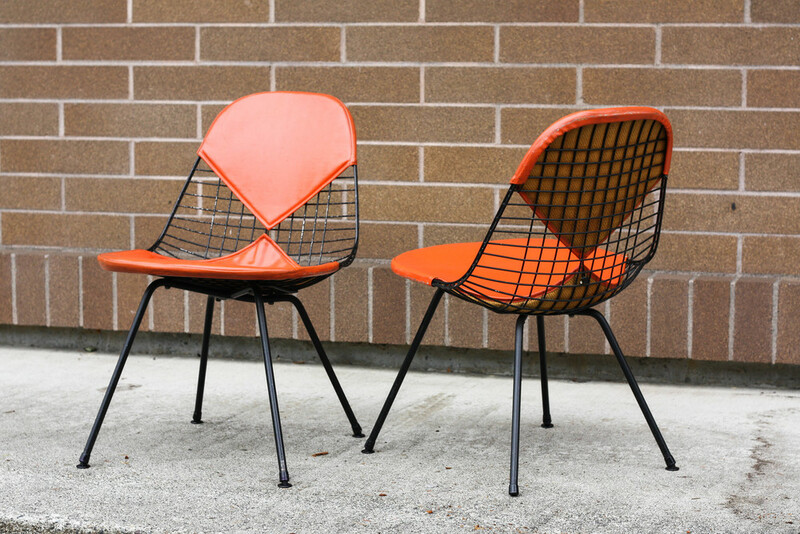 Super special, first edition Eames Wire Chair on the rare, solid rod, X-Base. Designed by Charles Eames for Herman Miller in Venice, CA in 1951. 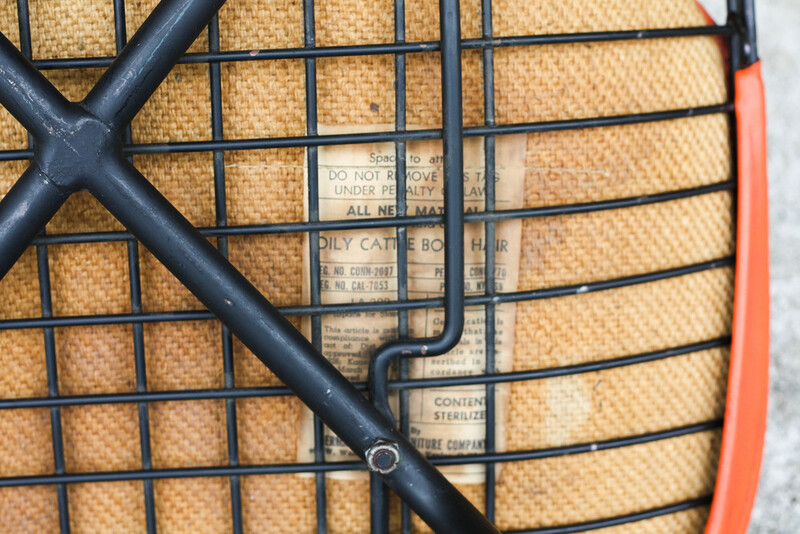 These chairs are from the first run of them, and the frames have the "patent pending" stamp which verifies they are true 1951, first edition, chairs. The original orange bikini seat cover with Herman Miller label still attached label reads "Oily Cattle Body Hair" with HM's Venice, CA address provided. In original vintage condition. Beautiful patina with expected wear for a first edition chair.